With over 60 years of experience in the GTA, Mercedes-Benz Toronto retail stores are a perfect fit for your business. Each of our eight locations offer express parts delivery and feature a team of dedicated wholesale parts specialists who will make sure that you get the right part the first time. Experience the advantage of working with Mercedes-Benz Toronto Retail Group. 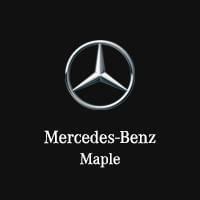 Why buy locally from a Mercedes-Benz Toronto retail store? Mercedes-Benz Toronto Retail stores are conveniently located throughout the GTA to provide you and your business with the best possible service and support. Choose a location from the map below for phone and e-mail contact information. We look forward to working with you.